•Recorder function : High fidelity recording, WAV format, super long time recording. •Music function: High quality speaker,support lossless music/APE/MP3/WMA/DRM WMA /OGG/APE/FLAC/WAV/AAC(including AAC-LC/AAC HE/AAC＋V1/V2)and other full format audio. •Other function: Support TV output, support 3.5mm stereo earphones. energy saving setting, display brightness, interface background and other functions of display. •Appearance : Exquisite appearance, comfortable feel, let you fondle admiringly. •During the game press: "START" + "SELECT", the game will be paused , and pop up game menu for your option. 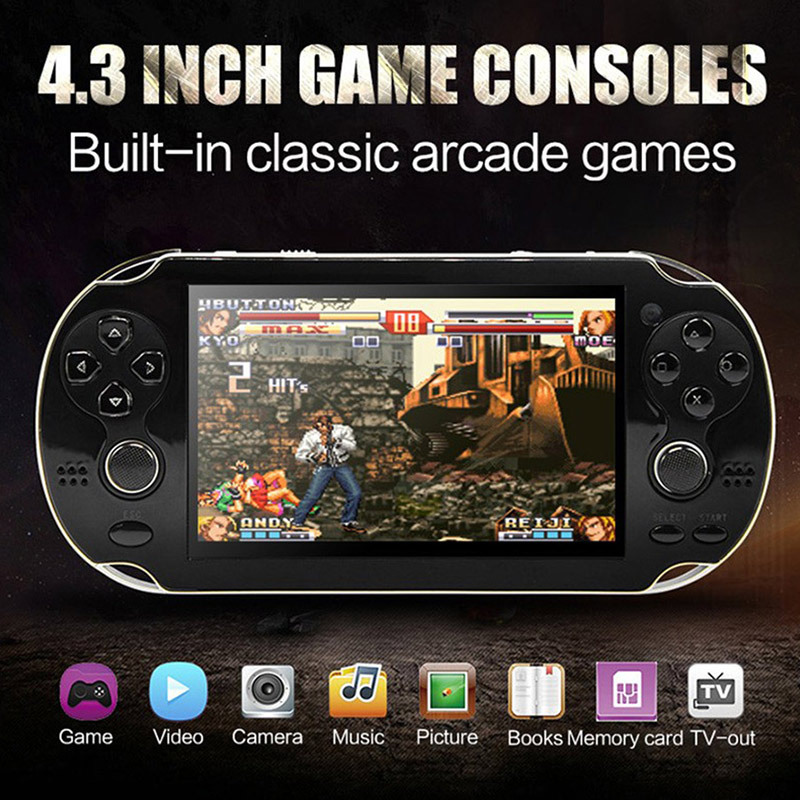 •This mini game console include built-in 800 games . •We suggest you don\'t download any games by yourself. It\'s easy to bring viruses when you download games. Then cause the original games lost. •When the game console automatically shut down due to low power, the buyer must ｉｎｓｅｒｔ the needle in the bottom of the product "RESET" hole, and then press the power botton to turn on the game console.